Looking for a way to increase your profit margin? You just found it! By adopting route planning software, you’ll be able to save time, save gas, and make more money. Courier companies, propane delivery services, and all other businesses that send employees out to meet with their customers spend a lot of money on gas. The more efficient routes you use, the less money you’ll need to use on fuel. Route optimization software guarantees that every route you give your drivers is the most efficient route possible. Studies show that route mapping software can cut travel time by up to 35%. That means you’ll save a bunch of money on labor, too. Adopting route mapping software would allow you to visit all your customers in much less time than it takes you now. So you could use it to save money on payroll, sure. But this also presents you with an opportunity for growth. Instead of cutting hours, you could keep your drivers working the same amount. Then, with the productivity-improving power of route optimization software, they can visit more customers without having to rush to do so. More customers = more money. 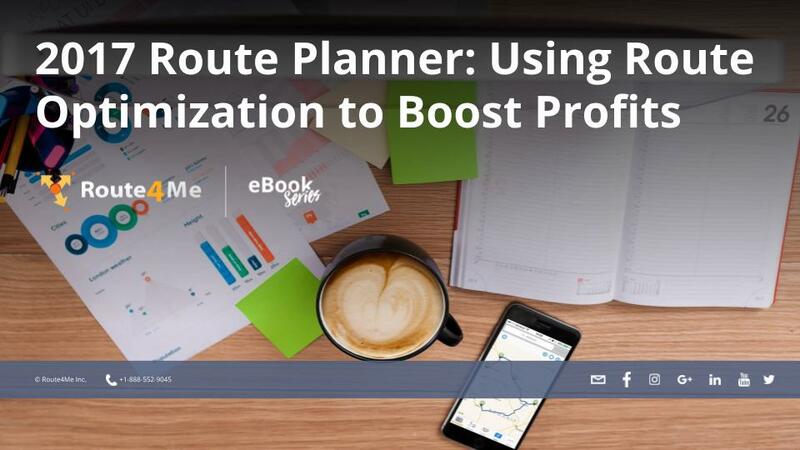 Route planning software lets you expand your business without the expense of hiring more employees. You should make sure that the software you invest in is cloud-based, so that the routes you plan are based on up-to-date traffic conditions. That way, if there’s an accident on the highway or some other kind of delay, you can adjust to it before it slows your drivers down. This will help your drivers show up on time more often. You can keep your customers happy and maintain a good reputation. Improved customer satisfaction will increase your profit margin, because it will attract new customers to your business. Think about it: when your customers are happy, there’s a good chance they’ll recommend your service to their friends and family, right? These personal recommendations are much more persuasive than blatant advertising.